A coroner has recorded an open verdict on the death of an woman "bedevilled" by anorexia who drowned in the bath. The Prestatyn inquest head Debbie Ann Kendrick, 44 had suffered from the eating disorder for more than 20 years. In the months before her death on New Year's Eve 2005 her weight plummeted to five and a half stone. Ms Kendrick, from the town, had been taking a bath to go to a party but was discovered dead by her mother. According to medical records Ms Kendrick had been teased about her appearance at school but appeared to live a normal life. The inquest also heard how she used to read women's magazines showing slim models. I think the illness was in complete control of her. In later life her behaviour became increasingly erratic and she saw two marriages end in divorce. By 2002, the inquest was told, she was in and out of hospitals and experts concluded that she had been suffering from anorexia for years. 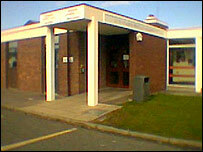 She was treated by the Hafod unit in Rhyl, as well as Cheadle Hospital in Manchester and St George's in London, which specialises in eating disorders. The inquest how she was sectioned twice under the Mental Health Act but refused to acknowledge that the illness was psychological. By late 2005 she was showing signs of improvement and was discharged from hospital. Her mother Janet Hudson said she had been eating normally and appeared better over the Christmas holidays. But she found her daughter dead in the afternoon of 31 December. Mrs Hudson said:" She had no power over this. While everyone knows how much she weighed, they don't know how much the brain weighs. "I think the illness was in complete control of her. "She just didn't want any food in her stomach whatsoever." Coroner John Hughes said: "I recognise the terrible times she went through. I see a young woman who had been bedevilled by an eating disorder for the best part of 20 years. "She was unable to rid herself of this terrible complaint".